Religious leaders gather at the Capitol to pray for Utahns contemplating suicide. Standing on the Capitol grounds Friday afternoon, Lt. Gov. Spencer Cox both encouraged and warned Utahns planning to talk with a higher power over the next few days. 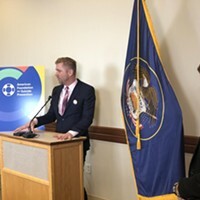 According to the Centers for Disease Control and Prevention, suicidal thoughts are more common among Utah’s adults than those in any other state. Every year, 4,000 people attempt to end their lives in Utah, 500 of whom are successful. “Despite that data, there is hope,” Cox said, because most people who plan to complete suicide do not end up making an attempt on their lives, and 90 percent of those who survive an attempt die of other causes. 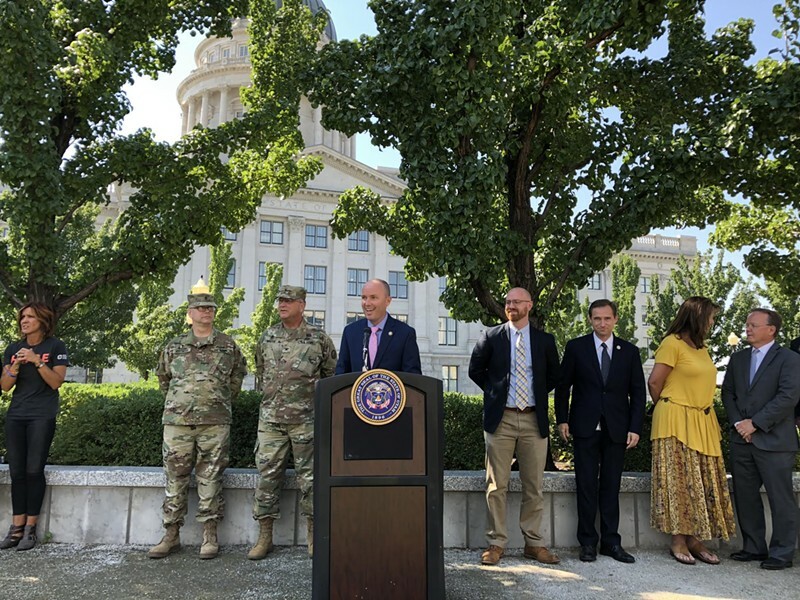 Elder LeGrand Curtis, of the First Quorum of the Seventy for The Church of Jesus Christ of Latter-day Saints and the last religious leader to speak, said prayer was essential in addressing the state’s suicide epidemic, but it’s not a panacea. “We need more than prayer, we need action. Prayer facilitates action,” Curtis said, encouraging those suffering from loneliness and depression to “pray for help from God” and seek professional care. “Talk to someone. Don’t try to endure alone,” Curtis said. Furthering efforts to eliminate stigma surrounding suicide-prevention dialogue, this Saturday from 9 a.m. to 1 p.m., the Sorenson Unity Center will host “Start the Conversation,” a series of panels and breakout sessions aimed at educating parents and children on how to lower Utah’s high rates of youth suicide—the leading cause of death for Utahns between the ages of 11 and 17. The city’s suicide awareness event might be more hands-on than the National Weekend of Prayer, but Biskupski suggested spirituality and practicality go hand-in-hand in addressing the state’s epidemic. Dispatch from Suicide Prevention Day on Capitol Hill.